Image Courtesy of PORTLAND TRIBUNE: JAIME VALDEZ. In 2016, The Portland African American Leadership Forum (PAALF) launched an exciting project to buy and preserve the historic Gordly-Burch family home located at 4511 N. Williams Ave in Portland, Oregon. PAALF’s hope is to develop the home into a cultural center which honors the contributions of the Gordly-Burch Family and the hundreds of other black families and organizations that have made an indelible and lasting impact on Portland—and create a space to gather in the historic heart of Oregon’s largest African American/Black community. PAALF is hosting community sessions with Black Portlanders interested in visioning around the development and preservation of the historic Gordly-Burch family home (4511 N. Williams Ave) into a cultural center. We understand everyone could not attend the event and would like to gather your thoughts. 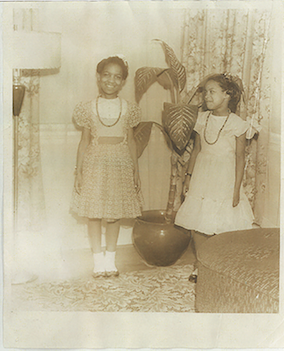 Avel Gordly and Faye Marie Burch in Gordly-Burch family home, 4511 N. Williams Ave in Portland, Oregon, age 10 and age 8, Gordly-Burch Family Archive. Faye Marie Burch, Image Courtesy of Colors of Influence Updates Blog. Faye Marie Burch, previously Governor Barbara Roberts’ Senior Policy Advisor and later serving as the Advocate for Minority and Women- Businesses, She was a co-owner of five gift shops and a small food service restaurant at the Portland International Airport for twelve years while building her business as a Project Development consultant, business leader, public policy advisor, community activist. In that role Ms. Burch has coordinated over a billion dollars of opportunities for Minority and Women Businesses and job training programs. Ms. Burch served on the Board of Directors for the Urban League of Portland, MESO Microenterprise Program, the Portland Rose Festival Association that promotes large international tourism activities and brings millions of dollars of revenue to city businesses, and as Vice Chair of Self Enhancement, Inc., a non-profit youth program for at- risk youth, serving as a national model for the Center for Disease Control. Ms Burch received a Congressional appointment and served on a National Small Business Commission holding hearings in Alaska, Washington, California and Virginia. Her business has received several U.S. Small Business Administration awards and recognitions in the field of construction as a Woman of Vision and a Newsmaker. Avel Gordly, Image Courtesy of PORTLAND STATE UNIVERSITY. Avel Louise Gordly was the first African American woman elected to the Oregon State Senate. In addition to a public service career in politics and criminal justice, she has been an educator, advocate for mental health services, and activist against apartheid in South Africa. Avel Louise Gordly was born in Portland, Oregon to Beatrice and Fay Lee Gordly on February 13, 1947. Gordly grew up in a working class neighborhood. Her father was a Union Pacific Pullman porter and her mother did domestic work in private homes. Avel’s paternal grandmother, Lessie, worked in the Portland shipyards during World War II. Her English teacher was the only authority figure who supported Gordly’s life ambitions. Avel went on to become the first woman in her family to graduate from high school. The teenager soon discovered that her 1966 marriage to Neshell Waters, motherhood and the Vietnam War superseded her college plans. By 1971, Gordly was a single mother trying to raise her young son, Tyrone, after her marriage failed. At this time, a friend, who was a student at Portland State University (PSU), suggested that Avel join her. Gordly entered PSU’s Administration of Justice program and in three years earned her Bachelor of Science degree. Her career in public service began at the Oregon Department of Corrections in 1974. In 1979, the Urban League of Portland recruited Gordly as director for youth services. Later, as director of American Friends Service Committee, Gordly traveled to South Africa and other countries seeking to end apartheid. In Portland, she worked with the Black United Front and Portlanders Organized for Southern African Freedom. 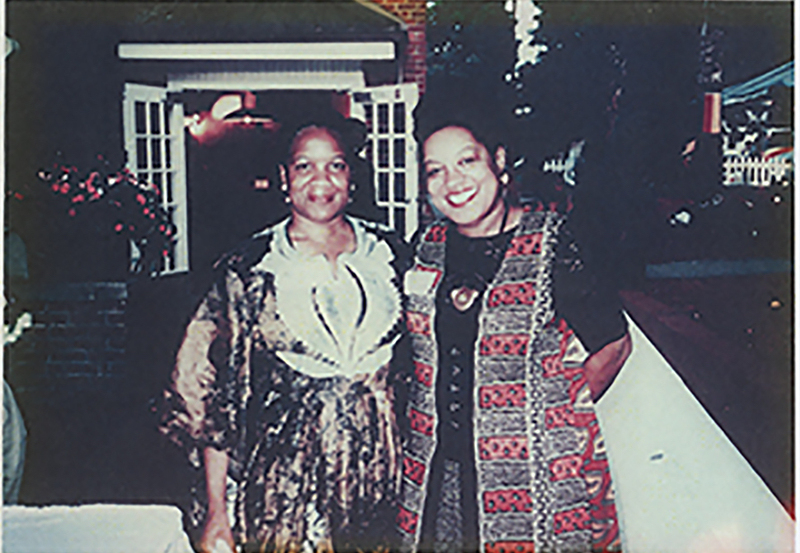 When Gordly was appointed in September 1991 to fill a vacancy in the Oregon House of Representatives, she was working at the House of Umoja. Gordly served three terms as State Representative for District 19 and made history in 1996 when she was sworn in as an Oregon State Senator. In 1999, she became the chief petitioner for the constitutional amendment that removed the state’s black exclusion laws from Oregon records. Oregon’s Territorial Assembly had passed the laws 150 years earlier to forbid blacks from settling in the territory. In 2008, she left public office to become an associate professor in the Black Studies Department at Portland State University, her alma mater. That same year, the Oregon Health & Science University’s Behavioral Health Clinic was renamed the Avel Gordly Center for Healing to meet the mental health needs of the state’s multicultural community. In 2011, Gordly opened up about her own struggles with depression in her autobiography, Remembering the Power of Words. Swearing-in Ceremony just ended in Oregon State Senate. Mr. Fay Gordly looks on proudly while Avel Gordly applauds all those who came to witnessing. Gordly-Burch Family Archive. Avel Gordly and sister Faye Marie Burch (in stroller), Gordly-Burch Family Archive. Grand opening of Oregon Health & Science University (OHSU) opened its first culturally specific mental health and psychiatric services, the Avel Gordly Center for Healing, 2008. Photo includes: Peggy Koss, Governor director of Affirmative Action, John Albert Kitzhaber, president of Oregon Health & Science University (OHSU), City of Portland Mayor Thomas Jay "Tom" Potter, and Honorable Judge Adrienne Nelson, Oregon Supreme Court, Gordly-Burch Family Archive. Mrs. Beatrice Gordly and Mr. Fay Gordly early 1940’s. 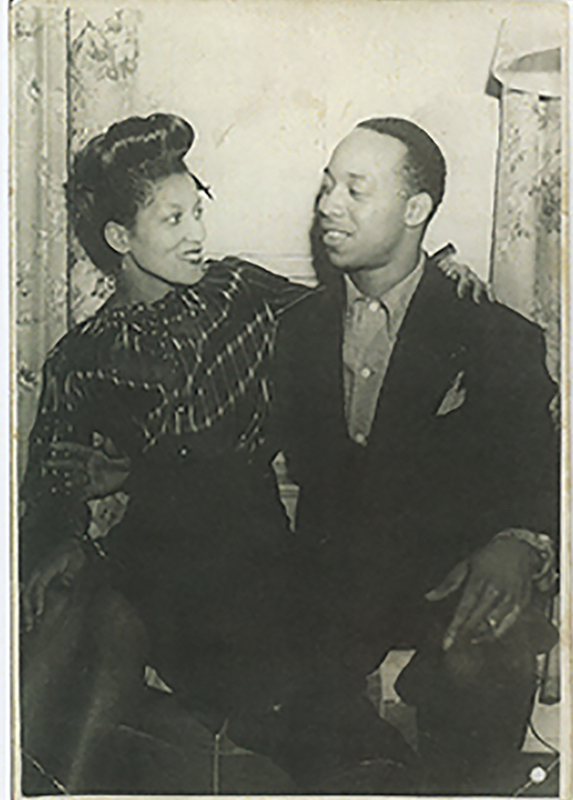 “They loved to dance and worked hard to raise a family and build community.”, Gordly-Burch Family Archive. The only photo Avel Gordly and faye Marie Burch’s has with both grandmothers. Left to right: Grandmother Lessie Gordleys Uncle James Dowall; Mrs. Beatrice Gordly’s brother (eldest); Grandmother Alberta Louise Randolph (3rd marriage); and James’ wife Evelyn, Gordly-Burch Family Archive. Mr. Fay Gordly and brother Tyrone Lee Gordly. Tyrone Lee Gordly served in Airforce and retired from Post Office, Gordly-Burch Family Archive. Young Avel Gordly, perhaps dressed for Easter, at Grandparents home was across from what is now Harriet Tubman School (Flint Ave and N Page Street), Gordly-Burch Family Archive. Lessie Gordly, paternal grandmother to Avel Gordly and Faye Marie Burch, 1930s, Gordly-Burch Family Archive. Mrs. Beatrice Gordly at the neighborhood Bill’s Grocery Store, where she worked for many years. Bill’s Grocery Store was one of the first Black-owned grocery stores in the 1940’s at N. Tillamook and Williams Avenues, Gordly-Burch Family Archive. Avel Gordly and Faye Marie Burch’s Brother Tyrone Lee Gordly, proudly wearing his navy uniform. He served on the USS Keager in the Persian Gulf Era, 1984-1990, Gordly-Burch Family Archive. Mrs. Beatrice Gordly and Maternal Grandmother, Alberta Louise Randolph, Gordly-Burch Family Archive. Avel Gordly and Faye Marie Burch at Interstate Firehouse Cultural Center event, Gordly-Burch Family Archive.